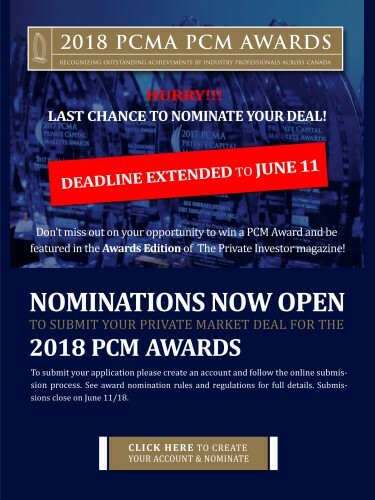 The Private Capital Markets Association of Canada (PCMA) is still accepting nominations for the 2018 Private Capital Markets (PCM) Awards. The table for nominations has been extended until Monday, June 11 and nominations are open to all private capital markets professionals. 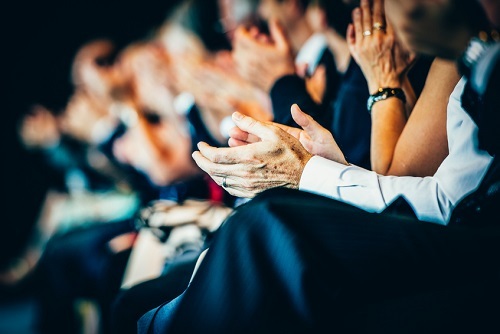 PCM Awards encourage best practice, high standards of conduct and recognizes private capital markets business leaders who have helped build vibrant and successful private capital/exempt markets in Canada. To submit a nomination, please visit this link. If you nominate someone and that company/individual wins an award, then the nominator will receive a free PCMA membership for one year. To submit your application, please create an account and follow the online submission process. The nominee will be evaluated based on: contribution to the deal, vision, leadership, market innovation, impact and the benefits of the deal to the issuer and investors. The awards’ committee is comprised of independent members of the PCMA board of directors. For any questions or concerns, please email: Georgina.Blanas@pcmacanada.com. The awarding ceremony will take place in Calgary in October. More details will be announced in the coming weeks.